To get out of fire fighting mode you need to create breathing room. Constant fire fighting will short circuit your sense of priorities and leave you working on symptoms and not the problem. Accelerated Development will align your software lifecycle process to match your business requirements. We will help you to pick and optimize the correct software methodology that will lead to faster results. Do you need to do Agile development (Scrum, Extreme Programming) or do you require adjustments to more traditional approaches (Waterfall, RAD, RUP)? Whichever methodology is selected, failure to implement key disciplines in any methodology will leave you with wrecked projects and lead you to reject the methodology. Accelerated Development will implement the key disciplines in your lifecycle that will drive successful projects. Developing software is just like the parable of the 6 blind men and the elephant. Each department has their perspective of what the software is and should do and different departments rarely agree. Learn how to write effective requirements that will eliminate these inconsistent views. Learn how synchronization gaps between departments are land mines that slow down your development. Learn how ineffective hand-offs between departments can be a real comedy of errors and cost you precious time in the form of endless meetings and finger pointing. 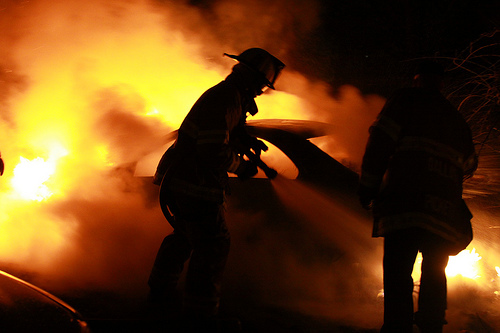 Learn about the root causes of fire fighting from our blog.